Primordial Beast touches upon Cherokee myths in a thought-provoking way. 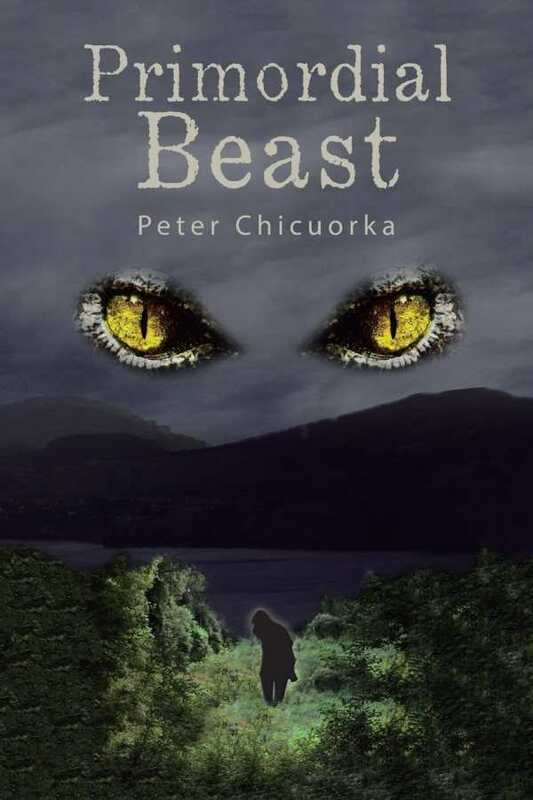 Peter Chicuorka’s slow-building thriller Primordial Beast is set in a national forest where a mysterious predator is brutally killing park visitors. A young woman named Rebecca travels to a national forest that straddles North and South Carolina to do research for her master’s thesis. She hopes to prove that a local Cherokee legend about the Great Lake Spirit is actually a case of mistaken identity. During the course of Rebecca’s stay, mysterious, animal-like attacks occur in the park. Several men who are related to or working with a corrupt politician and businessman are brutally torn limb from limb, and are partially devoured. Only eighteen-year-old Sarah, who is being molested by some of the beast’s victims when it attacks, survives the beast, who develops an infatuation with her. The sheriff enlists Rebecca and a park ranger to assist in his investigation; what they uncover defies belief, and puts their lives, and Sarah’s, in dire jeopardy. The book’s many characters are funneled into a dichotomy wherein good means being a conservationist and bad means being anti-conservationist. The beast shows the most depth; it has a dynamic range of emotions, acting as a deadly stalker and predator but also as a highly evolved, emotionally sensitive champion and protector. Rebecca, the beast, and the sheriff show the most interior growth, learning to rely on their innate humanity over hard science and facts. Other characters act more like stock characters against whom the beast reacts. Though lengthy, the book is well-plotted and methodical; there are few wasted paragraphs. It builds slowly in pace and tension, progressing with intuitive logic. Calmness and serenity are juxtaposed with brutality and ruthlessness. Ecological and conservationist themes are integrated with Cherokee myths and legend of the Great Lake Spirit, a being who protects natural resources from plunder. The consistent use of physical measurements to mark settings, surroundings, and people adds a level of visual precision to the text. Weaponry is described in precise, technical detail. The book’s transition from an ecological thriller to a romantic story line between Sarah and the beast blunts the suspense, though. The subplot works well enough on its own, and ultimately circles back to the main story, but it’s also initially confusing and makes the mystery more predictable. Chicuorka’s thriller touches upon Cherokee myths in a thought-provoking way.